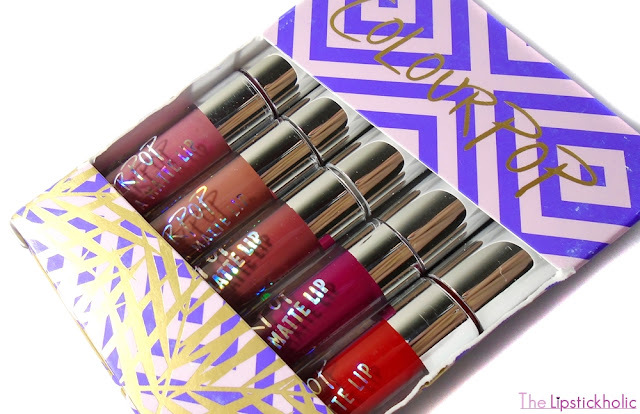 Review: ColourPop Ultra Matte Lip Mini Size Kit Foxy...!!! ColourPop Ultra Matte Lip Mini Size Kit Foxy comes in a cute small cardboard outer box. The set contains 5 mini size Ultra Matte Lips including Clueless, Beeper, Tulle, More Better and Creeper. The packaging of ultra matte lips minis is same as full size ones. These come in glass tubes with metallic cap and doe-foot applicator. Each mini ultra matte lip contains about 0.02 oz of product which is less than half of a full-sized ultra matte lip. 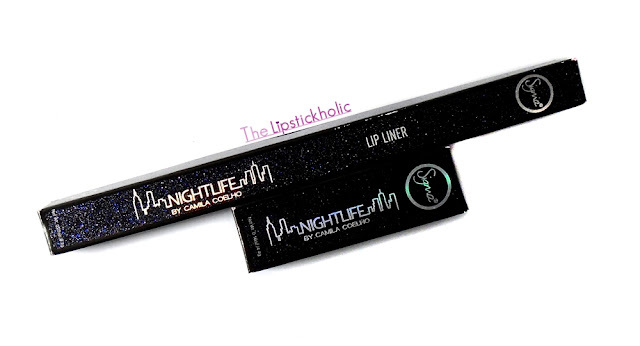 For size comparison, you can see the picture of one full size ultra matte lip with a mini ultra matte lip. 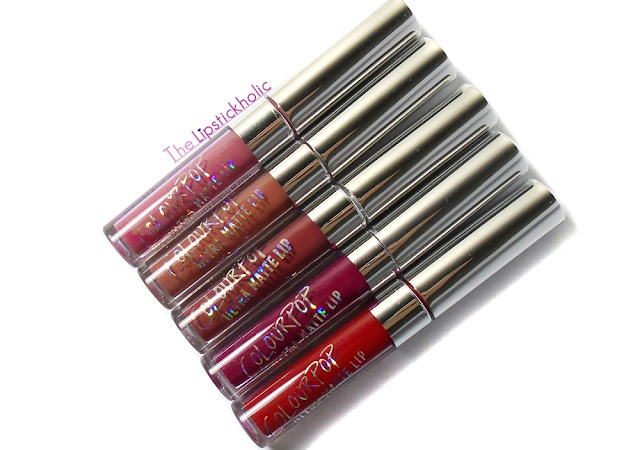 The formula of ColourPop Ultra Matte Lips is thin and liquidy. These apply easily and dry quickly to a perfect matte finish. I feel the applicator of the mini ultra matte lips is somehow small for lips. Yet it is good for precise application of lip color. These ultra mattes feel lightweight and comfortable to wear. These are not drying and provide the perfect matte finish. The formula of new ColourPop Ultra Matte Lips has surely improved. The old ones that I have in my collection accentuated fine lines and dryness on lips. These new ones, didn't accentuate any dryness on my lips and I love the finish these provide. The set "Foxy" contains 5 gorgeous ultra matte shades ranging from neutral to bold colors. The pigmentation of all the shades is amazing. One swipe of color results in opaque coverage. 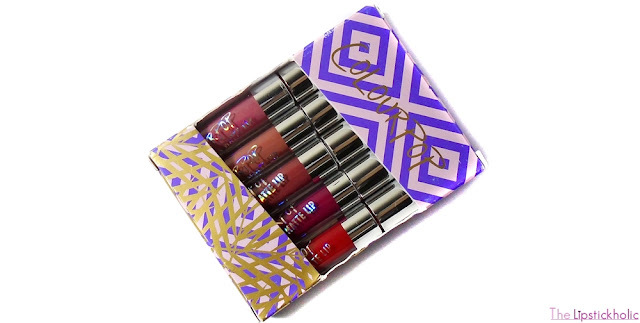 The 5 shades included in the set are Clueless, Beeper, Tulle, More Better and Creeper. Let's take a closer look at each shade. Clueless is a beautiful muted mauvy pink shade. 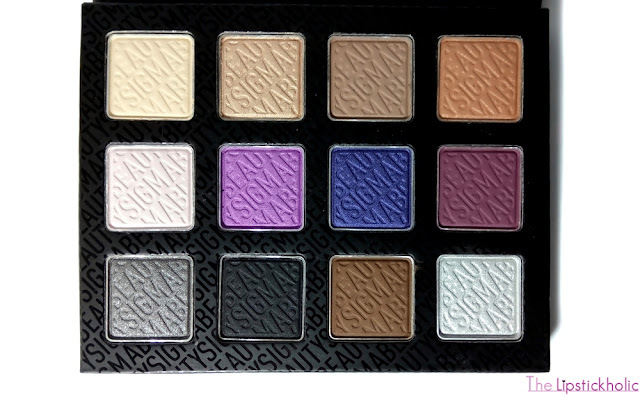 I am not really a fan of mauvy shades but this one is so gorgeous. This has surely become my favorite go-to lip color. It looks so much prettier in person and I will be featuring it one of my FOTDs soon. Beeper is a mid-tone taupe shade. Its looks like a nudish taupe brown shade at times. It is my least favorite shade from the set as I don't usually wear browns. The shade is great for those who prefer taupe or mid-tone brown shades. ColourPop Utra Matte Tulle is a dark vampy shade. It looks like a deep burgundy shade with hint of brown. This shade is perfect for fall/winters. I have never been a fan of vampy shades but I really like this one. More Better is a beautiful rich berry shade. It looks like a deep wine shade in indoor lighting. I can't describe how much I love this color. It is so beautiful and instantly brightens up my face. It is a very wearable berry shade. The shade would suit all skin tones and can be worn all around the year. Creeper is a pretty bright red shade with blue undertones. This red is brighter than most of the red lip colors that I have in my collection. 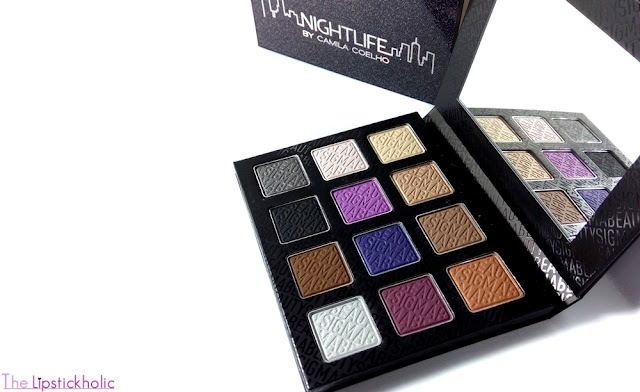 It is beautiful and has such smooth matte finish. All the shades have great staying power and they last almost all day long. These even tend to last through meals. However, I won't say the new formula of ColourPop Ultra Matte Lips is completely transfer-proof. Few shades tend to transfer easily while others transfer just a bit. But for such good pigmentation and amazing finish, these cons can be ignored. At the end here is a quick look at all the gorgeous shades in the set "Foxy". All in all, I think this ColourPop Ultra Matte Mini Lip Kit "Foxy" is great value for money. 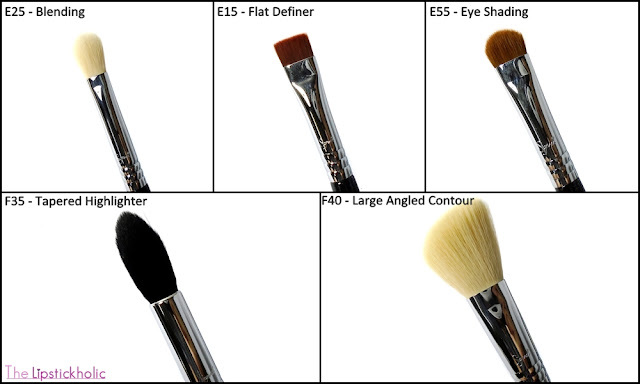 These mini kits are great for trying out different shades before buying the full-sized ones. Also these are good to carry along in purse or clutch. The quantity of the mini ultra mattes is just perfect for me as I don't use them on daily basis. I am definitely planning to get full-sized Ultra Mattes in shade "Clueless" and "More Better". 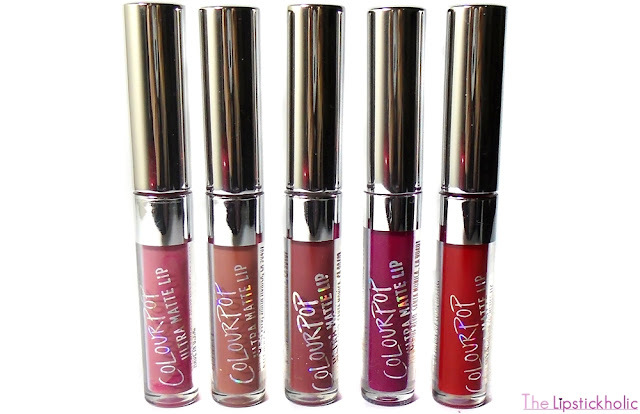 I surely recommend you to check out different mini size kits by ColourPop. Price & Availability: ColourPop Ultra Matte Lip Mini Size Kit Foxy is available at ColourPop Website for $18 only. I got mine from Facebook page Brand-O-Holic for Rs 2850/- only. Check out the complete range of ColourPop Ultra Matte Value Sets on ColourPop Website. ColourPop ships internationally too. Press Release: Masarrat Misbah Makeup Re-launches the MM Silk Foundation...!!! 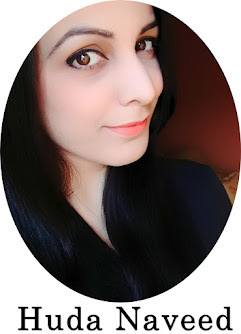 Masarrat Misbah Makeup, Pakistan’s first Halal certified makeup brand, has re-launched its weightless, high quality, matte finish Halal MM Silk Foundation. The new MM Silk Foundation tunes into your skin's needs, controls oil and moisturizes your skin for a long-wearing, balanced look, with true coverage. The packaging is simple yet classy. The bottle itself is made up of glass, and comes with a black pump for the customer’s convenience. The product will be available from 20th February 2017 at several leading retail stores nationwide as well as at Depilex. The product can also be purchased through the online e-store as well as prominent online shopping stores such as Yayvo, MyGerrys among others. “We appreciate the immense love, patience and support from our customers as we are all set to re-stock our Halal matte finish Silk Foundation. It’s a must have if you’re looking for a lightweight and reliable foundation for all skin types. We focus on the skin tones of Pakistani girls and have created a number of shades that blend perfectly, giving you medium to full coverage,” shared Masarrat Misbah, the founder of MM Make-up and owner of Depilex. MM Makeup is the first Halal Certified Makeup brand to launch in Pakistan, not using any non-permissible animal substances or intoxicants in the entire product range. Press Release: Khaadi launches latest Pret Spring Collection...!!! Khaadi, Pakistan’s premium clothing and lifestyle brand, has launched its latest Khaadi Prêt Spring Collection. Ranging from casual to formal, Khaadi’s intrinsic design aesthetic lies at the core of each piece. The Spring Collection echoes a refreshing look, drawing on global design inspiration to offer a range of prints and cuts finished with hints of on-trend elements. 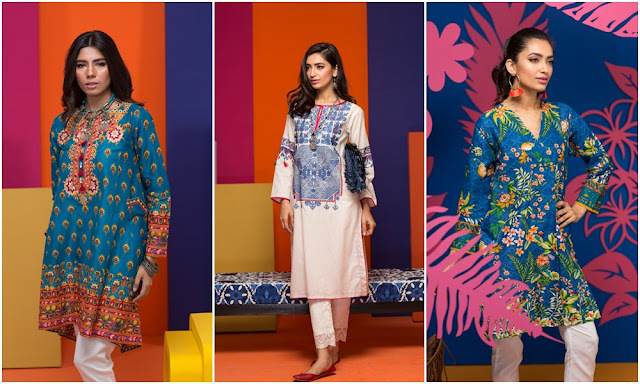 The wide array of options in the latest Khaadi Prêt Spring offering are sure to garner attention and make a lasting impression amongst women of every age. “The new collection encapsulates the spring summer vibe using an array of prints and patterns, staying true to the Khaadi aesthetic. Youthful and trendy cuts, along with some traditional flare, are kept in mind to cater to women of all ages,” said Khaadi Creative Director, Saira Shamoon. Khaadi is a multinational Pakistani clothing fashion brand founded in 1998 by Shamoon Sultan. It specializes in "hand-woven" technique products, specially a wide clothing range for women in Prét wear, it also provides unstitched lawn, children’s clothing, shoes, bags, jewellery and is scheduled to open a clothing range for men's wear. 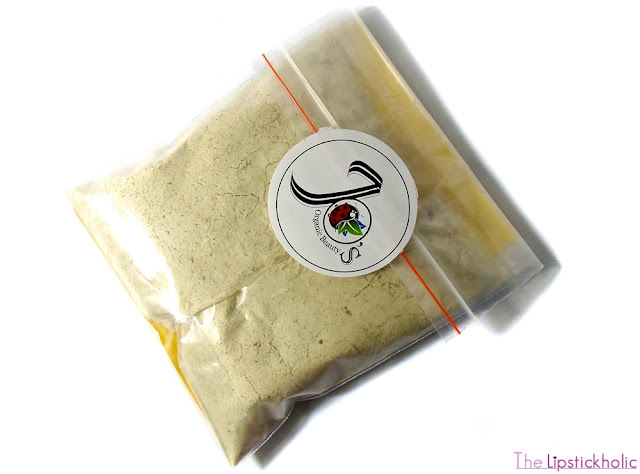 Starting with the packaging, Turmeric Mix comes in a plastic bag like packaging. Packaging isn't really ideal in my opinion but since it is a powder product, you can easily transfer and store it in any empty jar. Directions to use the mask are mentioned on back of packaging. It is advised to keep the mask in refrigerator and use it within 6 months of opening. 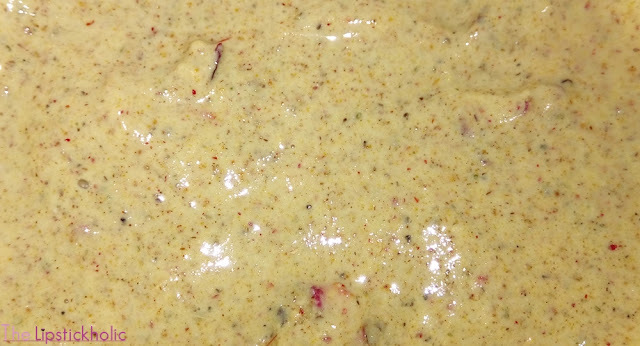 Turmeric Mix mask is finally milled. 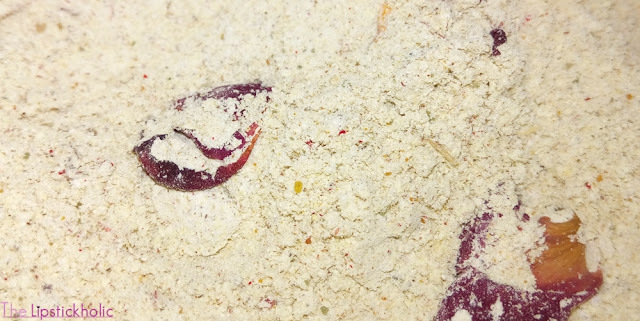 You can see some natural ingredients like almonds visible in the fine powder. To use this mask, you need to make a smooth paste by mixing the turmeric mix powder with yogurt or milk and adding some drops of rose water. Leave it for 20 minutes and then rinse off. I made the paste using milk as I have dry skin in winters. The mask was easy to apply. I left it on my face for 20 minutes. I could feel my skin tightening as the mask dried. After 20 minutes, I washed my face. My skin felt clean, soft and fresh afterwards. It was moisturized yet didn't feel oily. It wasn't instantly glowing or bright but it surely felt soft and smooth. It is suggested to use this mask twice or thrice a week. I can say with continuous use this mask really makes the skin soft and supple. It rejuvenates the skin and slightly evens out skin tone too. It moisturizes the skin well and leaves it feeling soft. It doesn't instantly brightens the face like the O'honey mask but with continuous use you will notice improvement in condition of your skin. 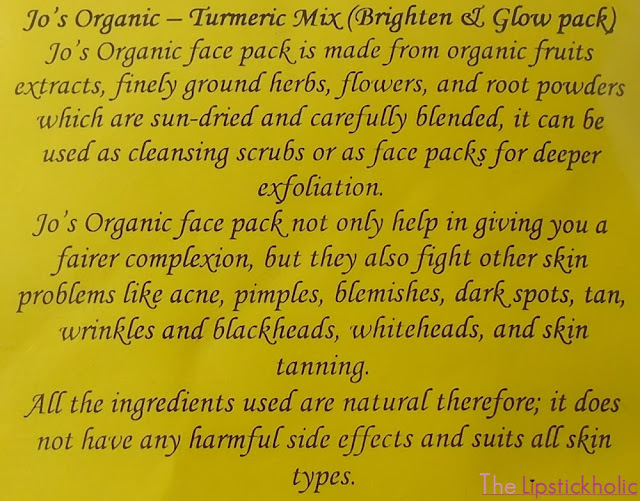 Since it is an organic mask, it is gentle on skin and is suitable for all skin types. 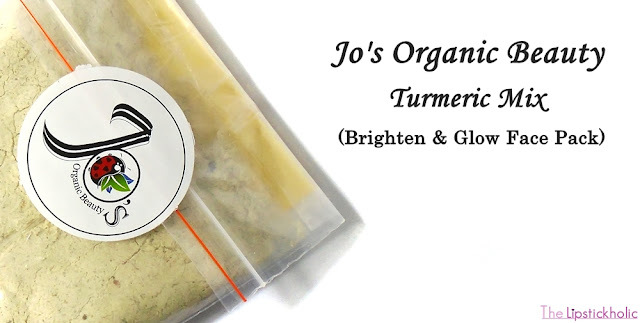 Price & Availability: Jo's Organic Beauty Turmeric Mix is available at Jo's Organic Beauty Facebook Page for Rs 650/- for the pack. 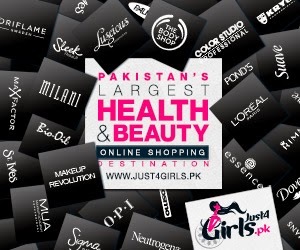 Check out their complete range of organic skin care products in the Shop Section on the page. 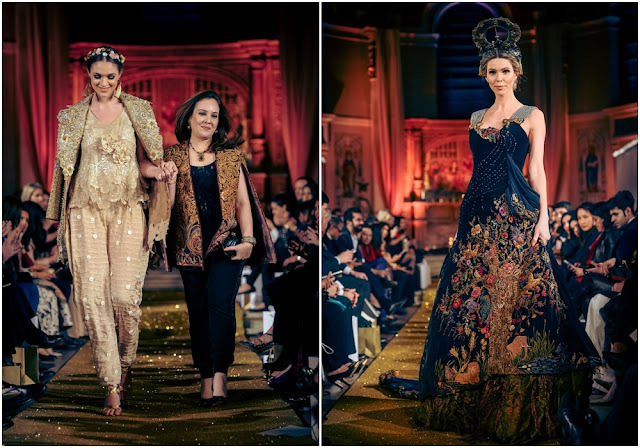 Press Release: Fashion Parade Bride and Luxury Pret 2017 held at One Marylebone in London...!!! Fashion Parade Bride and Luxury Pret delivered what it promised, in attendance were mainstream fashion icons and socialites from UK, India and Pakistan. 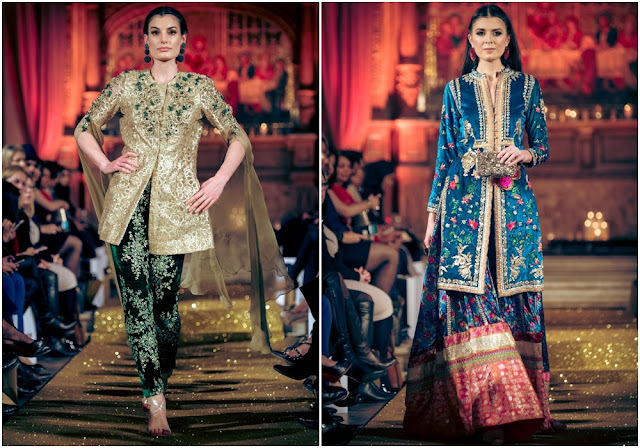 Pakistan’s premium designers converged at the historic landmark One Marylebone on 6th of February 2017, to showcase to the British elite the luxurious diversity of Pakistani Brides. Fashion Parade Bride powered by Studio by TCS was a night full of glitz and glamour, featuring extravagant collections by 10 renowned Pakistani designers; Nilofer Shahid, Nomi Ansari, Tena Durrani, Shamaeel Ansari, Maria B, Faiza Samee, Saira Rizwan, Rani Emaan, Seher Tareen and Sherzad Rahimtoola. Hair and Makeup was done by the dynamic duo, Aamir and Ambreen, who created their signature flawless bridal look. Rafyl was the official photographer for the event, Jewelry for Tena Durrani’s collection was provided by Jadau and Red Dot Jewels provided their exquisite jewelry for Rani Emaan. The media partners for this exclusive night were Grazia Pakistan, Khush Wedding, Urdu1 and B4U. The front row included the likes of; Pakistan’s High Commissioner to UK H.E. Syed Ibne Abbas, Poppy Hodgson daughter of Lord and Baroness Fiona Hodgson, Neeta Spencer of the British Asian Trust Charity, Jorgie Porter, Olivia Cox, the presenter was Alice Baxter from BBC World News, Lizzy Cundy, Henry Conway, world’s first hijabi model Mariah Idrissi, Louise Cole, film director Gurinder Chadha, ex-Prime Minister of Pakistan Shaukat Aziz and Nikita Andrianova. Fashion Parade is the brain-child of entrepreneur Sadia Siddiqui, having been inspired to create an authentic platform to launch South Asian fashion to the British audience in a credible show held in the heart of London, promoting their talent to key members of international business, media and the fashion fraternity. 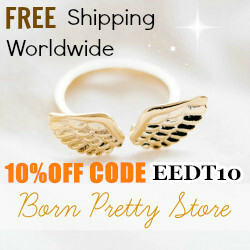 Fashion Parade Bride and Luxury Pret powered by Studio by TCS is the newest addition to Fashion Parade platform. Sadia Siddiqui runs Mustang Productions based in London. She is a creative director and has done multiple shows for various clients. She created Fashion Parade a platform of her own to showcase to the world the best of Pakistani fashion. After holding Fashion Parade for four years the next natural step is Fashion Parade Bride which is being held in February 2017 in London. As with their previous productions, Mustang productions will be raising funds for British Asian Trust. Hope your week is off to a great start. 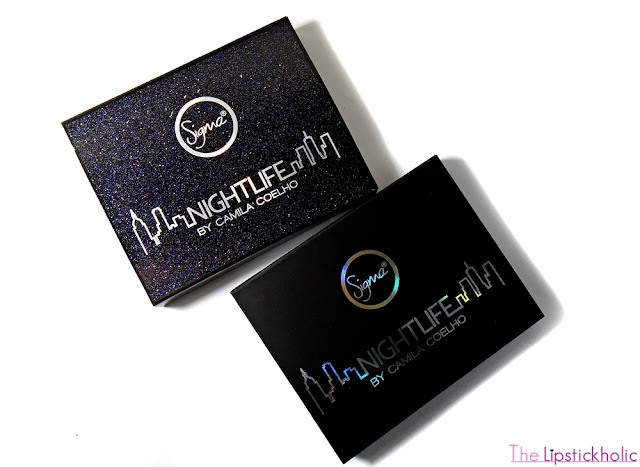 Few weeks ago I got a bunch of Sigma Beauty products that have been on my wish-list for so long. 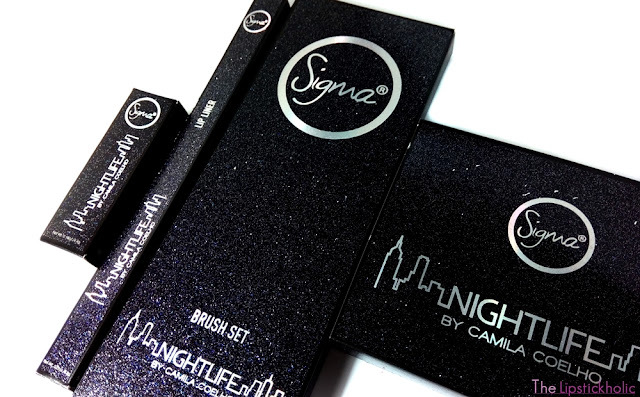 These also included Sigma Beauty Power Crayons. 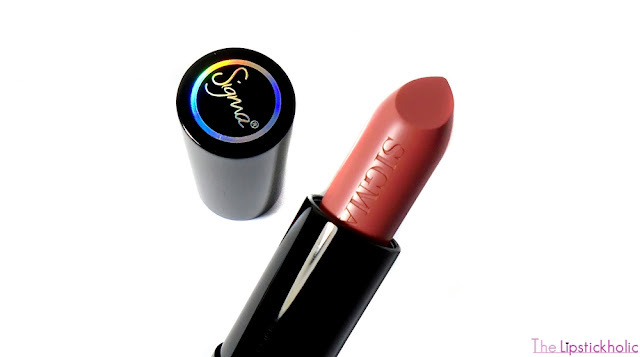 I am a huge fan of twistable lip crayons and was excited to try the ones introduced by Sigma Beauty. 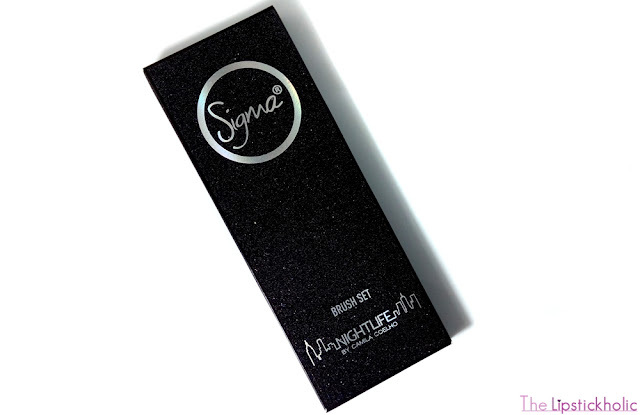 So let's get to the post to know what do I have to say about these Power Crayons by Sigma Beauty. 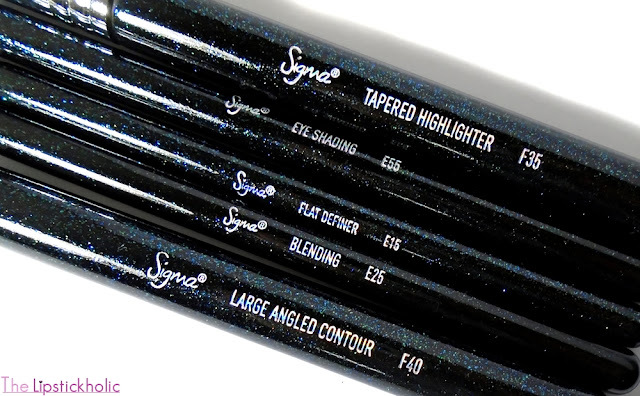 Sigma Beauty Power Crayons come in sleek matte black twistable chubby sticks. These power crayons are super pigmented and provide opaque coverage. The texture of these power crayons is very creamy. These glide smoothly on lips without tugging. 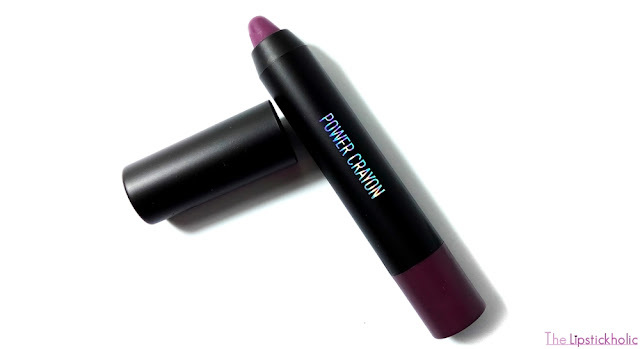 These power crayons feel hydrating and make the lips look kind of fuller. Finish of these lip crayons is semi-matte. 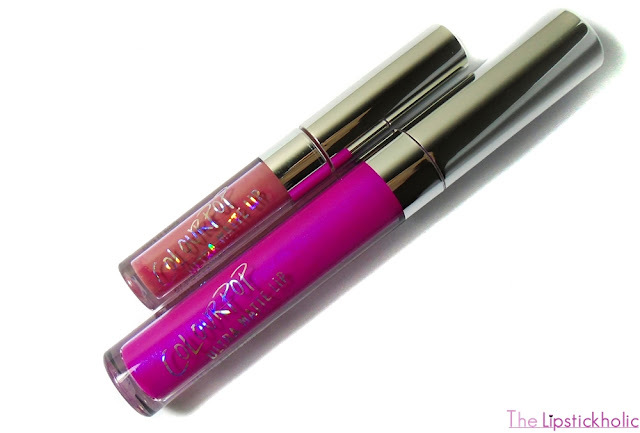 Due to intense pigmentation and creamy formula, these do tend to transfer and smear which is common with all creamy lip colors. The shades that I got are Signed, Sealed, Rubicund and Own It. Starting with Signed, Sealed which has to be my favorite shade among all. It is a beautiful dusty rose red shade. I am so in love with the shade and have been wearing it almost everyday. 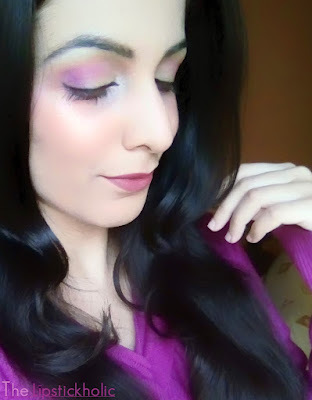 Rubicund is a beautiful muted pink lipstick. The shade is beautiful and subtle. Own It is a purple shade. It looks like an eggplant purple shade on my lips. 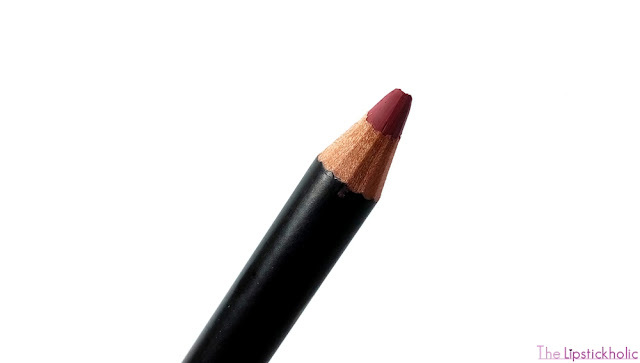 The shade is perfect for winters and would suit all skin tones. Staying power of all the shades is pretty good. They stay on the lips easily for about 5- 6 hours and leave a stain behind too. For me, these lasted through light meals too. 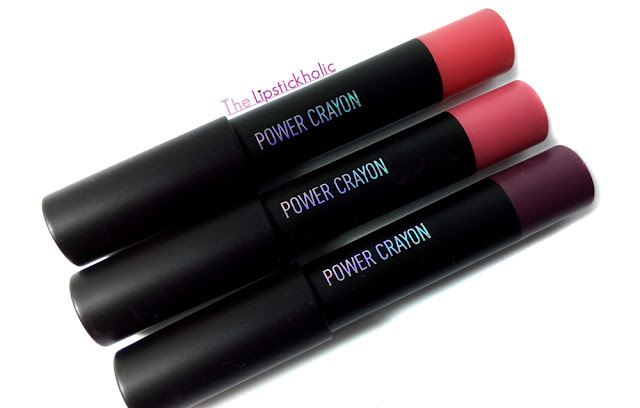 Overall, these power crayons have impressed me with their superb pigmentation and coverage. They feel moisturizing, light weight and comfortable to wear and have decent staying power. Being twistable crayons, these are easy to use and carry along in purse. Signed, Sealed is my current go-to lip color. These power crayons are currently available in 6 shades only. 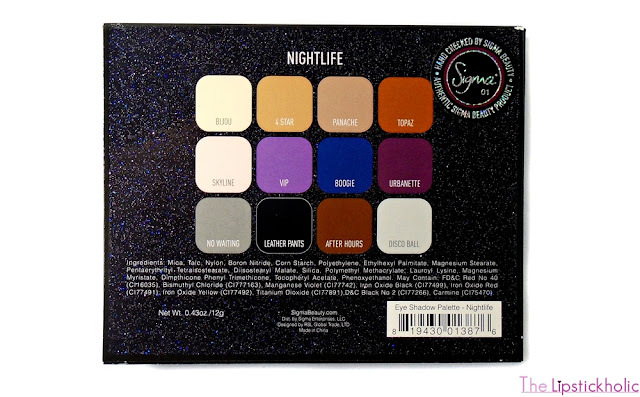 I hope Sigma introduces more shades in this range soon. 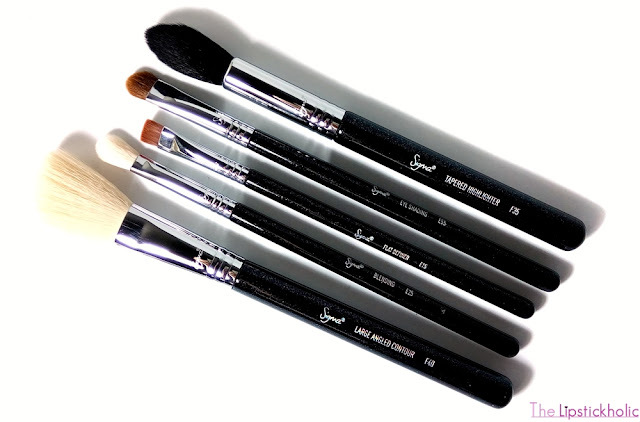 Price & Availability: Sigma Beauty Power Crayons are available at Sigma Beauty Website for $15 each. Use code "SIGMA2017" at checkout to get 10% off your purchase at Sigma Beauty.